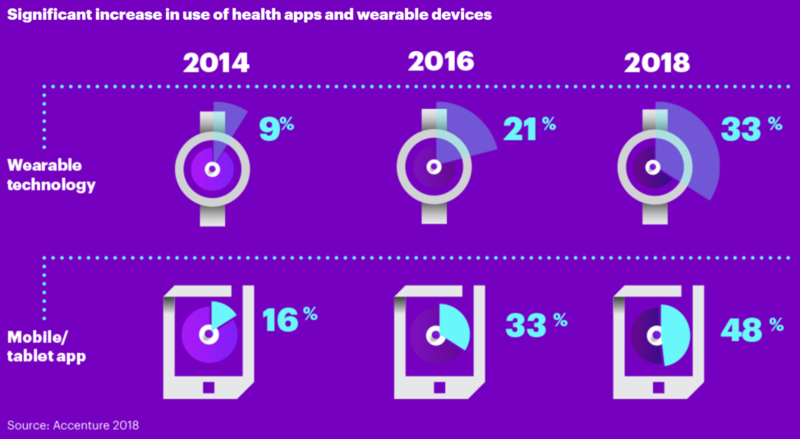 According to the Accenture 2018 Consumer Survey On Digital Health, “healthcare consumers continue to show strong use of digital technology for self-service care – and the numbers are rising each year.” The trend may be most evident in the rapid adoption of modern technologies to manage health and wellness, including wearable devices and mobile apps. The seven-country survey of 7,905 consumers found that adoption wearable technology and mobile/tablet apps both tripled since 2014. Wearable technology adoption grew from 9% in 2014 to 33% in 2018 while app adoption 16% to 48% during the same period. For many employers and health plans looking to launch organizational wellness programs, concerns over interest and adoption of technologies resulted in programs incorporating wearables and apps to be delayed or never started. 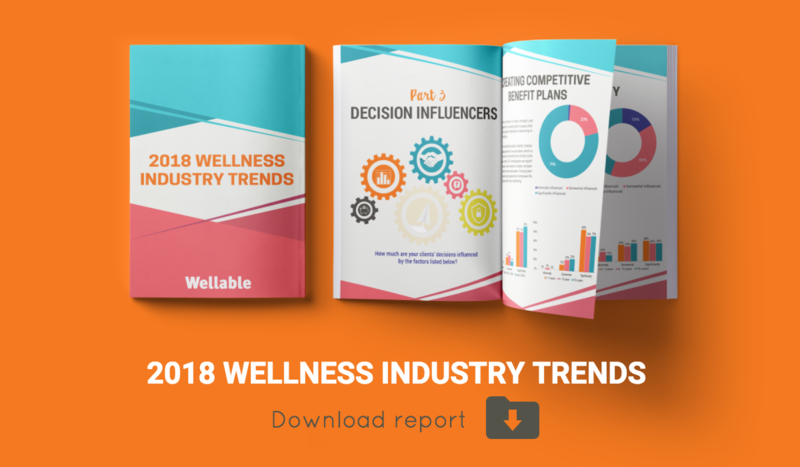 The data from this survey strongly suggests that employees and members are increasingly becoming interested and adopting these solutions, many cases on their own and outside of a sponsored wellness program. An interesting finding from the survey was the willingness consumers had to share data captured by technologies, which bodes well for the medical community and, to a lesser extent, wellness program administrators. Ninety percent and 88% of consumers are willing to share their wearable health device data with their doctor or other healthcare professional, respectively. Seventy-two percent were willing to share data with their health insurance plan (up from 63% in 2016). Consumers have less interest in sharing wearable device data with their employer (38%) or a government agency (41%). The employer sentiment may be driven by years of wellness programs done to employees rather than for them. Programs like biometric screenings and others that were not designed with employee health as the primary priority may have eroded trust between employees and employers. Fortunately, these types of programs are becoming less popular and willingness from employees to share data with an employer is increasing, with 31% willing to do so in 2016. Some of the top benefits consumers receive from wearables are understanding a health condition (75%), engagement with health (73%), and remote monitoring of a loved one (73%). As wearables continue to become more sophisticated, their ability to further benefit consumers will only increase. This includes in areas outside of health applications, such as mobile payments, all of which will result in greater adoption of these technologies. This is great news for wellness program administrators. Program participants will continue to see value in wearable devices and mobile apps, creating programs that incorporate these technologies more beneficial to them. Also, more employees will already have the technologies necessary for their employee wellness program, facilitating participation.